All Designed Exclusively for Boys! 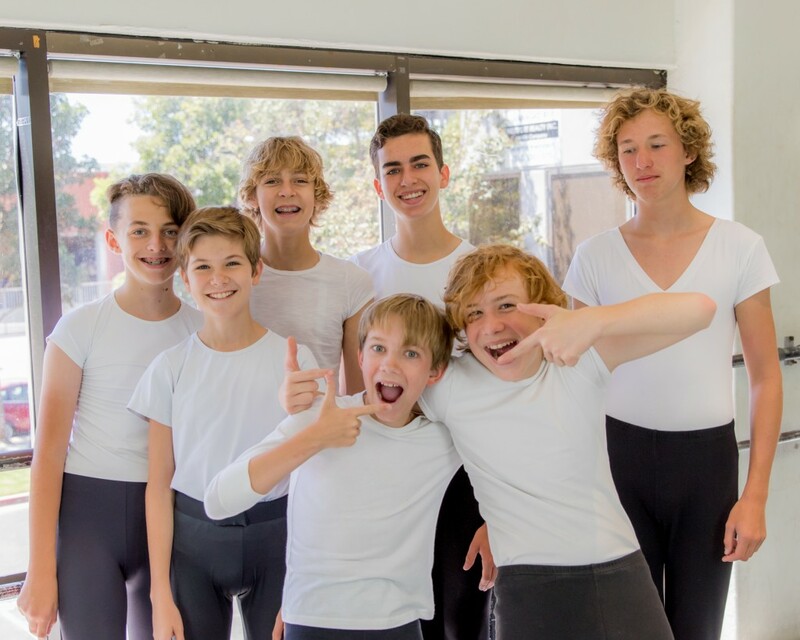 Boys Ballet classes emphasize posture, alignment, proper execution, fundamentals, port de bras, strength, and classroom etiquette. Includes attention to foot articulation and usage, and some stretching. Boys Ballet A on Mondays at 5:00-6:00pm & Wednesdays at 5:00-6:00pm (by Invitation). Level A is for beginners ages 7 and up. 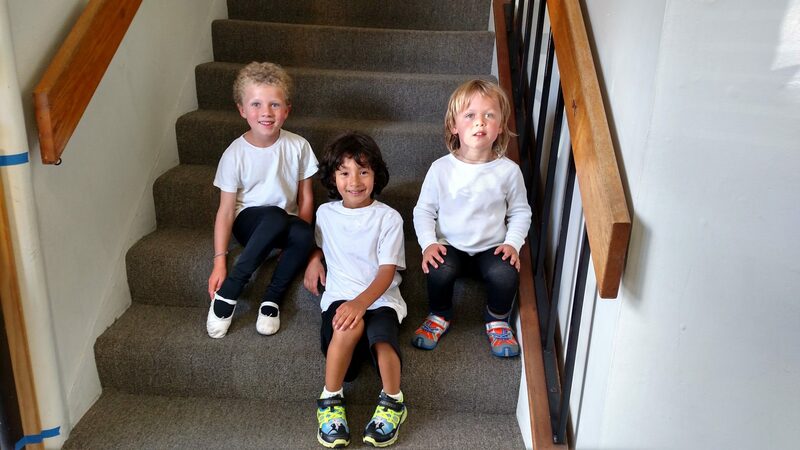 Boys Ballet B on Mondays at 6:00-7:00pm, Wednesdays at 6:00-7:00pm & Saturdays at 12:30-1:30pm, (by Invitation). 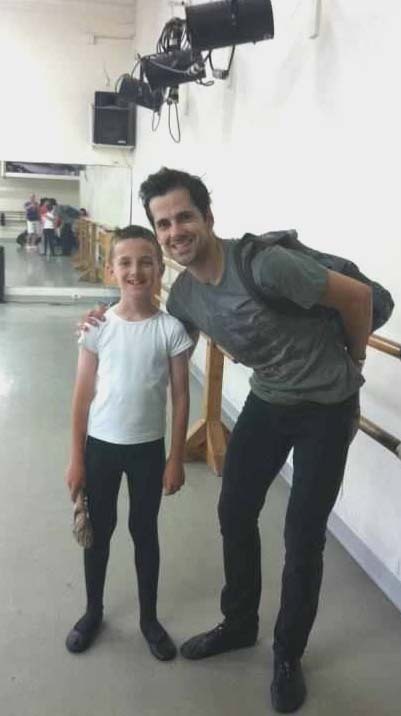 Level B welcomes boys aged 8 to 18 by invitation with at least one year of ballet training. No audition is required. Seth encourages all who are currently enrolled in Boys A and Boys B to attend Jazz and Tap. Refer to our children’s class schedule for all classes offered. Boys dress code: black footless tights, white T-shirt, white socks and white slippers. These boys-only classes promote the knowledge and practice of ballet, with an emphasis on proper alignment, coordination and athleticism. While the basic syllabus is the same for beginning male and female students, the contrast between male and female dancing is increasingly emphasized as a student progresses. The personal example of the teacher is of paramount importance. To this end, we are delighted to offer the expert instruction of Seth Belliston, a former principal dancer with Pacific Northwest Ballet. His wealth of experience is a valuable contribution to the development of our male students. Read more about the professional career of Seth Belliston. We also welcome exceptional instructor Mario Nugara to the Boys faculty. *Boys may take Boys classes only or create a full time schedule that includes “Boys Only” and co-ed classes. A full time schedule will qualify boys ages 8 and above for our Nutcracker and Spring Showcase at Broad Stage. Boys may evaluate in a “Boys Only” class or in an age appropriate co-ed class. Click the images to see more pictures from Boys Classes.